It’s been a meme year, here on the Internet. Not that we ever have non-meme years, but this flip round the sun was was especially ‘lulzy.’ I know you don’t usually read such lax English here on TNW, but this post is something different. This post is a smoke break from the news. Get over it. We have two things for you today, the first of which is our five favorite memes from the year. There were dozens of candidates, but our selection process pared the chaff and beat the wheat; these are the best, and if you disagree, you are wrong. Secondly, CafePress is giving ten of you lucky souls some meme-emblazoned swag. Let’s get into the memes, and we’ll circle back on the free stuff after. 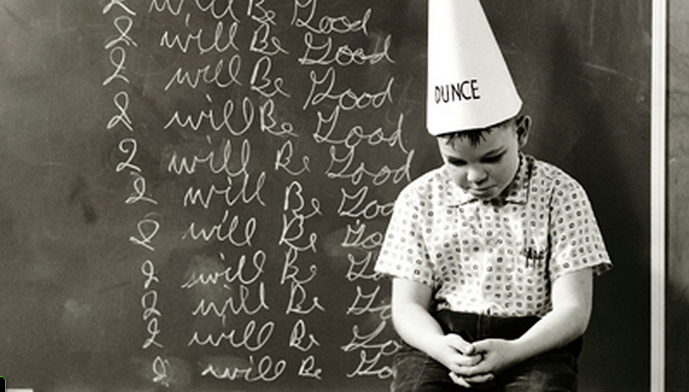 Side note: If your boss is around and lacks a sense of humor, this post might not be advised for work. 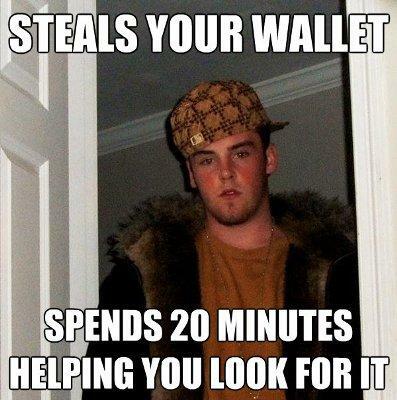 TNW’s top meme of 2011 is Scumbag Steve. He’s been beaten to death time and time again, but every time we think that there is no longer even an ounce of funny left to be found in his antics, he comes back. 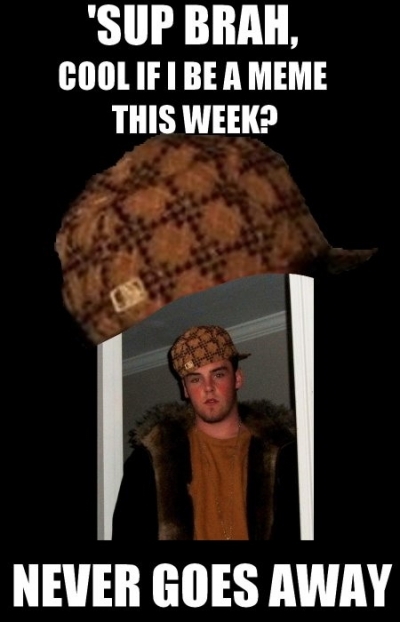 In fact, the hat that he has on has become, in a way, its own meme, finding placement on a great variety of ‘scummy’ things. The meme has mutated, in other words. This is one of those sayings that is infintley employable. If you live with Redditors, and who doesn’t these days, you have probably heard them say, while quite drunk, ‘Wt all the tequilla!’ And you didn’t even stop them. If you have neat freak, he must have said ‘clean all the things’ at some point, and so forth. The reason this meme took off, so far as we can tell, is that its image is simply too damn cute to ignore. Once you realize that the image is perfect, the text becomes mutable and recyclable, and on lives the meme. The idea of ‘Nope, Chuck Testa’ is perhaps the stupidest, and most frustrating meme of the year. Not only was it lame to start with, it became lamer when it was picked up by a massive crew of idiots and splayed all over the ‘tubes. It even made it to Facebook and Tumblr, the high watermarks of a shark-jumped meme. By far the best meme to come out of the #Occupy movement was the Pepper Spray Cop. This is not to say that the guy himself is any damn good, but the meme? Gold. You think the Third World has it bad? Just wait until you read the tale of woe that we in the First World have to deal with. Starbucks lines. No close parking. Gas tax. Highway construction. Picking the right channel. Finding the right channel. Fiddling with the router. You get the picture. And those are our favorite memes. Now, to the good stuff. If you head over to our lovely Facebook page here, all you have to do is Like our page and fill in this form so we’ll toss you into our drawing to give away a number of meme-related attire that you can use to show your non-Internet friends what squares they are. The ten lucky winners will get to choose an item among the Light T-shirt, the We So Excited it’s Friday Tee, the First World Problems Mug, the I Love Meme T-Shirt and the Winning Shamrock T-Shirt. I’m serious, this is free stuff. Enjoy it. I didn’t buy you anything for Christmas or Hanukkah, so this will have to do.